State oil giant Saudi Aramco said it had signed an agreement with a provincial government in China to acquire a stake in the new refinery project of top industrial group Zhejiang Petrochemicals. The MoU was signed on the sidelines of the second International Petroleum and Natural Gas Enterprises Conference (IPEC) held in the Chinese province of Zhejiang Province. Abdulaziz Al Judaimi, the Senior VP (Downstream), said: "We are exploring opportunities for new refining and petrochemicals facilities, making further investments in China. 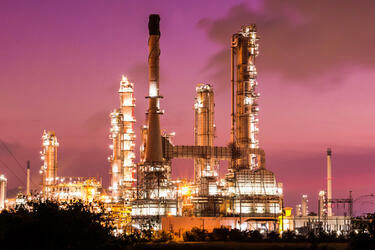 Saudi Aramco has recently signed a crude oil supply agreement with Zhejiang Petrochemical (Rongsheng)." "This increase in customer base is due to our continuous focus and attention to the Chinese market. We are also a major JV partner in a growing portfolio of refining and petrochemical assets in China," he stated. A leading global integrated energy and chemicals company, Saudi Aramco said the company plays an important part in China’s energy security. "Since our first crude delivery to China, we have steadily increased our supply to Chinese oil companies in line with their requirements," remarked Al Judaimi. Since 2006 to date, no one delivered more oil to China than Saudi Aramco. Helping China meet its critical energy needs shows Aramco’s commitment to key global markets," he noted. Saudi Aramco, he stated, is working to achieve a better balance between its world-class upstream and its growing downstream. The company’s downstream strategy seeks to enhance the value of the hydrocarbon resource base by targeting increased horizontal and vertical integration across the hydrocarbon value chain, he added. According to him, the successful execution of the downstream strategy would deliver a world leading, strategically integrated downstream network and a robust portfolio that is more resilient to market turbulence.